Over 35 years, Nick has remained in constant demand as a multi-disciplined journalist and broadcaster. He’s highly sought after for voice over, TV and radio presenting, MC, music curation, writing and digital media. He is a self-starter, team player, leader and mentor. The warmth and integrity in his approach to the entertainment industry has gained a deep respect from his peers. His passion to get to the heart of a story inspires trust and provides an atmosphere for honest and entertaining insights into celebrities, experts and everyday people. Nick’s rich voice is smooth; the sound is authentic, warm, edifying and engaging. His range extends from boyfriend to man on the street, narrative to high-energy; a read that is intuitive and on message. 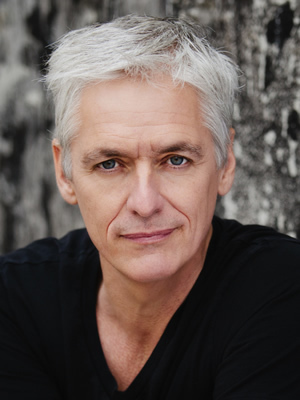 He’s created a niche in the live event arena, voicing multiple ARIA, AACTA and CMAA Awards, Great Australian Spelling Bee, Schools Spectacular, Helpmann Awards, Australia’s Next Top Model, Australia Day Concert, Cricket Australia and Moto GP. Nick’s experience as a multi-media journalist and broadcaster is legendary. He was the only Australian TV presenter invited to London to interview George Michael for E! News. His disarming style has delivered hundreds of interviews that include Bon Jovi, Ms. Lauryn Hill, U2 Manager Paul McGuiness, Debbie Harry, Stevie Nicks and John Mayer. Integrity and humour are paramount to his story-telling. A natural MC, he’s hosted events for Barry Gibb, Kiss, Lisa-Marie Presley, ARIA, MTV Music Awards, Blue Mountains Film Festival, Telstra Road to Tamworth, The Byron Bay Blues and Roots Festival, Sound Relief, Wave Aid, APRA, KTM and The Ultimate Wedding Planning Party. Nick was the interviewer on Shannon Noll’s “Acoustic and in Conversation” National Tour. 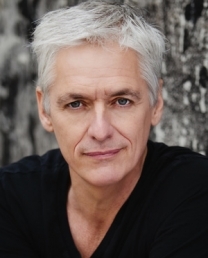 Over 4 decades, Nick has built a loyal audience on air and on-line for Macquarie Media Ltd, Triple M, Nova 969, WS FM, The Basement, FOX FM, 2DAY FM, 2CH, ABC, Hope 1032, The Voice of Peace and Radio Luxembourg. Globally and nationally syndicated shows include Talking Tales (with Jimmy Barnes), Qantas Rock on Q, The Big Backyard,The Rock 40 Countdown and The Beat. Nick has hosted, written, produced and contributed to stories that feature on all platforms. Lauryn Hill, AC/DC, Robbie Williams, Kiss, The Stereophonics, Cold Chisel and Alex Lloyd are all subjects. TV credits include Studio Ten, Sunrise, Channel [V], Music Max, E! News, and Ground Zero. He has presented specials on George Michael, ABBA, The History of Toyota Star-maker, Rumba Music Festival, INXS etc. Nick was editor and advertising manager of The Music Network and his articles have been published by Rolling Stone, The Sunday Telegraph, Billboard, Tracks, RM Williams’ Outback and Cream. Script- writing has included ARIA Music Awards, ARIA Hall of Fame, The Morning Show Music Segment, Country Music Awards of Australia and Channel Nine Presents. Nick holds a Certificate IV in Training and Assessment (TAE40110) and industry longevity makes him an engaging media teacher and trainer in corporate and tertiary arenas. © 2016 RMK Management. All rights reserved.